Some unexpected guests were hanging around Old Palm this Halloween. 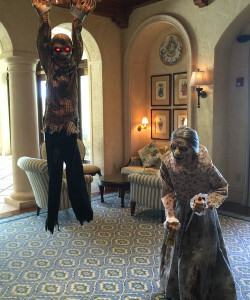 Make no bones about itâHalloween was a blast at Old Palm. Candy and smiles were abundant at Old Palmâs Community Trick or Treat.